The secret to start-up investment: Don’t be a jerk! What does it take to attract investment in your start-up? Alex Depledge, co-founder and former CEO of Hassle - a platform letting you find and book trusted home cleaners, should know. 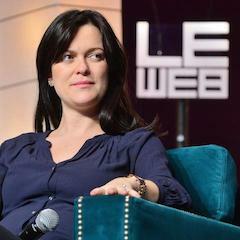 She secured a $6 million investment from top VC Accel Partners last year. But in this third EntrepreneursTalk@Cass event she will be joined by partner at a leading London-based VC Eileen Burbidge to share the investor's side of the story. Eileen Burbidge has said she 'won’t invest in jerks'. Come and hear Alex and Eileen share the secrets of start-up investment, and Eileen’s new role as the UK Government’s special envoy for FinTech at the next EntrepreneursTalk@Cass. Axel Threlfall is Editor-at-Large, Reuters, based in London. He hosts high-profile engagements and thought leadership events for and on behalf of Reuters and Thomson Reuters. He was previously Lead European Anchor for Reuters Digital Video. Prior to joining Reuters, Axel spent four years as an anchor for CNBC in London. Before that, he was an editor with The Wall Street Journal in New York and a news reporter for Bloomberg in London. He has also advised businesses and NGOs on their dealings with the international media.